There’s an old saying that you can judge a man by the company he keeps. The same can be said of biomolecules. If you want to know what a protein is doing, you can get a hint from the functions of its interaction partners. These days, there is considerable research interest in the class of molecules called long noncoding RNAs (lncRNAs). Many have been identified, but few have had functions assigned. One way to approach that problem is—you guessed it—to ask which proteins these molecules call friends. A growing set of tools enables researchers to determine precisely that. The RNA analog of chromatin immunoprecipitation (ChIP), RNA immunoprecipitation (RIP) reveals with which ribonucleic acids a given RNA-binding protein associates. Embodied in such commercial kits as the Imprint® RNA Immunoprecipitation kit from Sigma-Aldrich, RIP uses a user-supplied antibody to the RNA-binding protein of interest to pull down associated RNAs from cellular extracts, generally (unlike ChIP) without crosslinking. 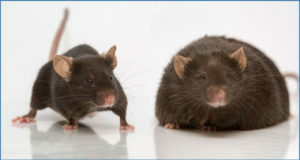 These RNAs can then be identified by qPCR, microarray or next-gen sequencing. RNA-protein interactions can occur either in the cytoplasm or nucleus, and RIP can be applied to either total or fractionated (nuclear or cytoplasmic) transcript pools. Active Motif’s RNA ChIP-IT® kit, though, is specifically designed to detect RNA interactions with nuclear chromatin, says product manager Kyle Hondorp. 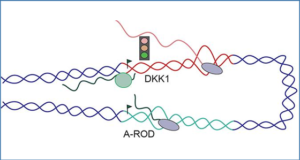 The kit uses a formaldehyde fixation step to lock RNA-chromatin interactions, which are then precipitated by sonicating the chromatin, treating with DNAse I and adding magnetic beads. EMD Millipore, manufacturer of the Magna RIP™ RNA-binding protein immunoprecipitation kit, also is developing a chromatin-focused RIP kit, according to John Rosenfeld, the company’s group leader for epigenetics product development. Set to launch in the first quarter of 2014, the kit will be available in both crosslinked and “native” formats. 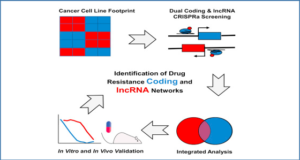 The crosslinking method, he says, allows users to interrogate indirect protein-RNA interactions and also dissect the function of higher-molecular-weight, multiprotein complexes. 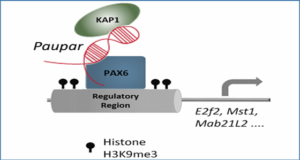 Researchers can use the native method to demonstrate more direct, high affinity, interactions in chromatin. An alternative approach to study specific RNA-binding proteins is CLIP (UV crosslinking and immunoprecipitation) . CLIP uses crosslinking and nuclease digestion, enabling a more stringent purification of RNA-protein complexes, including size separation by gel electrophoresis, to reveal not only which RNAs a protein binds but also where in the RNA sequence that interaction occurs. A more recent variant, called individual-nucleotide resolution CLIP (iCLIP), details RNA-protein interactions with single-base precision . According to Jernej Ule, professor of molecular neuroscience at the University College London Institute of Neurology, a key difference between CLIP and RIP is a gel-purification step that occurs after the complexes have been precipitated. The RNA molecules in the RNA-protein complexes are radioactively end-labeled, resolved by SDS-PAGE and transferred to a membrane, which enables visualization of the complex and ensures that no nonspecific RNA is co-purified. RNA is then freed from the membrane by proteinase digestion and used to prepare cDNA libraries for sequencing. If you have an interesting RNA and want to identify its protein partners, RIP and its variants won’t help you. But a set of relatively new methods might. ChIRP (chromatin isolation by RNA purification), CHART (capture hybridization analysis of RNA targets) and RAP (RNA antisense purification) are all based on the same basic idea—using biotinylated oligonucleotides complementary to the RNA of interest as a handle with which to pull down associated proteins, or more accurately, chromatin. Researchers then use next-gen sequencing and/or mass spectrometry to identify the proteins associated with the RNA and the genomic locations at which those interactions occurred [3-5]. In one pair of recent studies, for instance, Mitchell Guttman of the California Institute of Technology (then at the Broad Institute of Harvard and MIT), and Jeannie Lee of the University of Pennsylvania, used RAP and CHART (respectively) to probe the mechanism by which the Xist lncRNA spreads over and inactivates the silent X chromosome in female mammalian cells [5, 6]. According to Robb, ChIRP, CHART and RAP have not yet been commercialized. 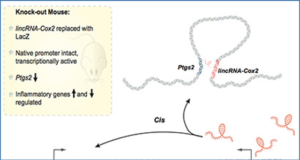 But at least one kit for protein isolation using a known RNA does exist: MBL International’s RiboTrap system uses in vitro transcribed, biotin-labeled RNA to pull down binding proteins from cellular extracts. After you have identified a candidate RNA-protein interaction in the test tube, you should validate it in vivo. Sigma-Aldrich’s DuoLink® proximity-ligation assay technology can help. According to Aaron Sin, the company’s market manager for protein biology, DuoLink is normally intended for protein-protein interactions. The system uses two antibodies, each tagged with an oligonucleotide and targeting one protein partner. If the two antibodies bind within 50 nm of one another—that is, if their two target proteins interact—the oligos can interact, an event that can be detected by rolling-circle amplification and hybridization with labeled probes, producing bright fluorescent spots in situ. Recently, researchers at the Georgia Institute of Technology and Emory University described a variant of this approach to detect protein-RNA interaction events . The team developed what they called Cy3B-labelled flag-tagged, multiply labeled tetravalent RNA imaging probes (FMTRIPs)—basically, a complex comprised of four fluorescently labeled, sequence-specific oligonucleotide probes bound to a tagged neutravidin molecule. If this probe binds to its cognate RNA close to the site of protein binding, antibodies to the tag and protein can interact, producing a bright, quantifiable, fluorescent signal. 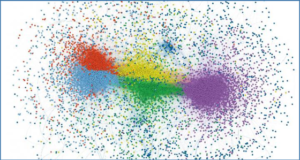 You can also predict interactions between RNA and protein in silico. The catRAPID algorithm uses the sequence of proteins and RNA to compute likely interaction pairs . Gian Gaetano Tartaglia, group leader at the Center for Genomic Regulation and Universitat Pompeu Fabra in Barcelona, Spain, whose lab developed the algorithm, explains that it predicts interactions “using solely [the] information contained in the sequences” of proteins and RNAs—specifically, the predicted structure of the two molecules, plus hydrogen bonding and van der Waals interactions. Users can query catRAPID using either a protein or an RNA sequence. Different forms of the software can test the relative strength of different interactions or break a long sequence up into smaller chunks for easier analysis. A new “omics” version can test query sequences against an entire transcriptome or proteome within minutes. Tartaglia’s team uses catRAPID to study the RNA-protein interactions in neurodegenerative disorders like Parkinson’s Disease and Lou Gehrig’s Disease, where it seems that RNA-binding proteins play a surprisingly outsized role . “RNA is playing games,” he says. “If we want to understand what is going on in the cell, we have to play games, too.” Thanks to methods like catRAPID, RIP and more, researchers now have the tools to do just that.